Buffalo Chicken Wings make the best appetizers. 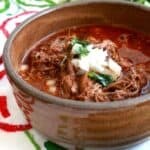 Yummy, easy-to-make, and perfect for game day or the Super Bowl. What’s not to love of this American classic? These words were actually a part of our wedding vows. The Hubs is from Buffalo, New York. He jokes that he spent half his life living next to one border, and now he’s living next to the other. Surely you all know by now, that I’m not one to break a promise (crosses fingers behind back). Buffalo Chicken Wings happen, and often, at my house. The Hubs reminds me that there are no “buffalo wings” in Buffalo. They just call ‘em wings. 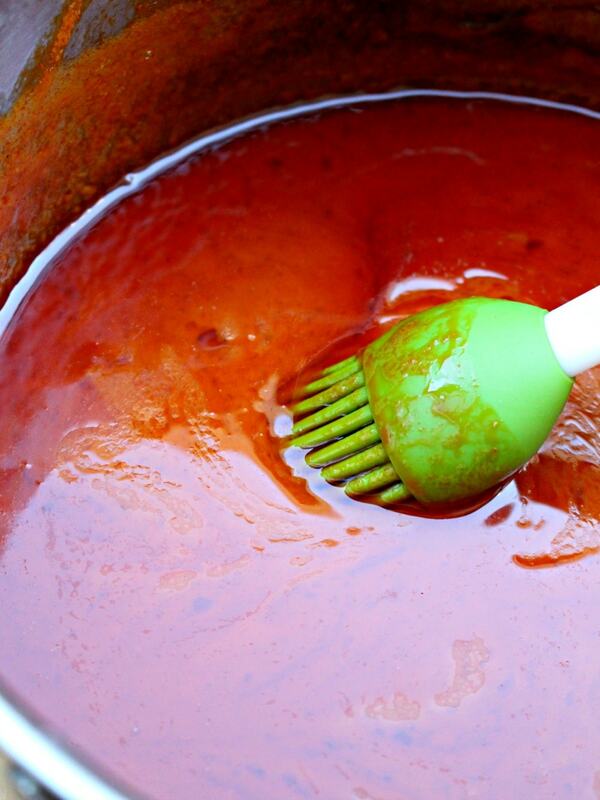 The sauce for Buffalo Chicken Wings is very simple. Frank’s Hot Sauce, butter, and Worcestershire sauce. That’s it, but in exactly the right proportions. There really is not a substitute for Frank’s Hot Sauce. We’ve been to the Anchor Bar, the birthplace of chicken wings, in Buffalo, New York. 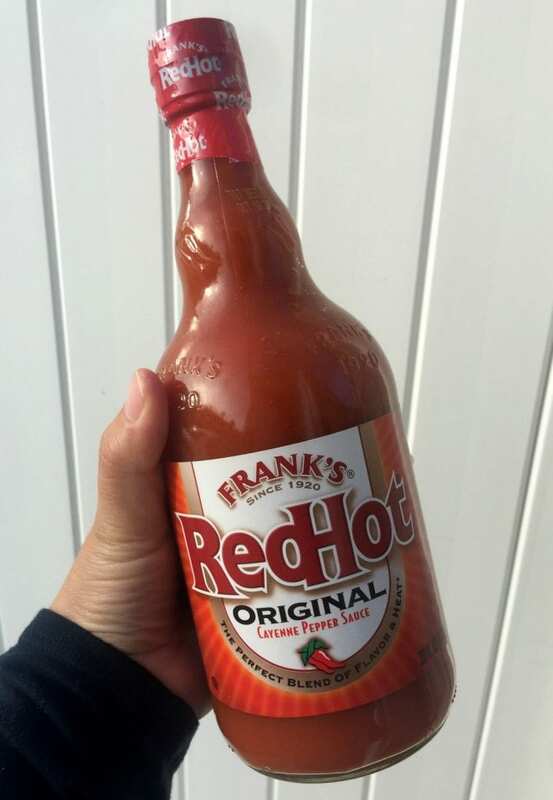 I’ve seen people change up this recipe, but there is nothing like the original, and that means Frank’s hot sauce. In Mexico, I can find sauce for “alitas,” or wings, made by the brand, Frank’s Hot Sauce. 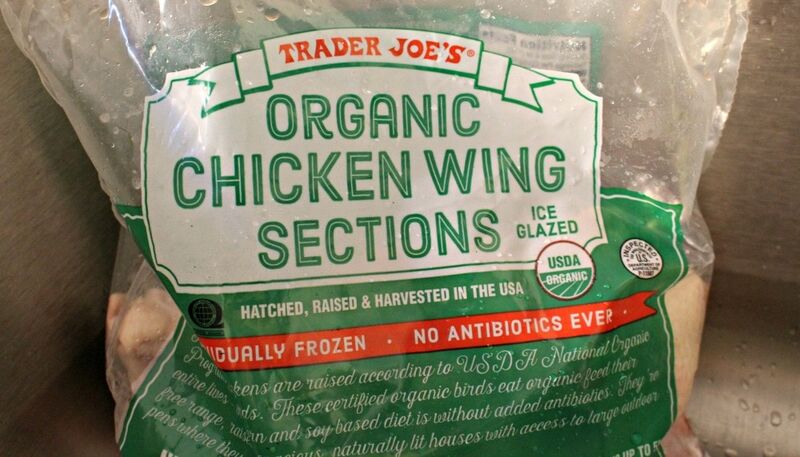 This is the bag of chicken wings or chicken sections that I buy. It is from Trader Joe’s. It is even organic. 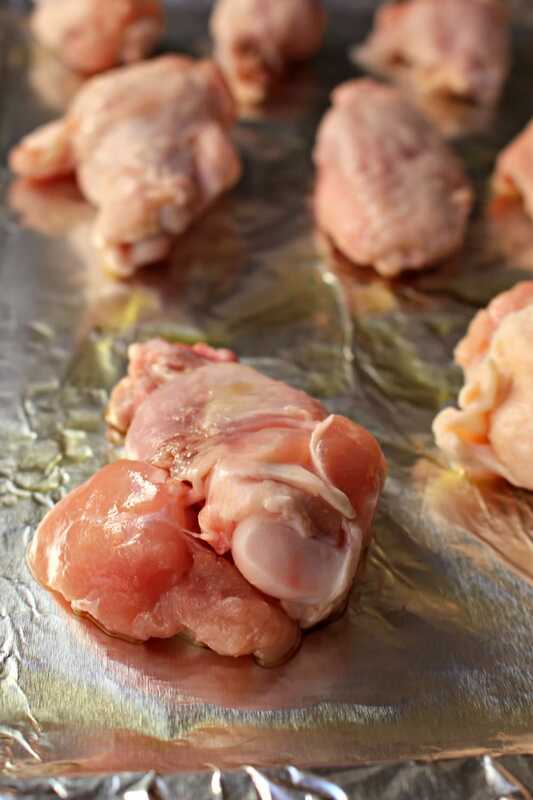 You can find uncooked chicken wings at just about any store nowadays. Be sure to pat them dry before placing on a baking sheet. Line the baking sheet with foil paper and add oil. You can also spray oil. I want to oil it up real good though. Oily to rise. Oily to bed. LOL. The foil paper will help with an easy clean up. Seriously, it’s worth lining a baking sheet. Yes, I bake my chicken wings. Fried food is better tasting… Of course, it is fried. As the Hubs is fond of saying, “Fat tastes good!” It also takes less take to cook the Buffalo Chicken Wings. I’m not joking when I say that this recipe is just as good as the fried version. Spread them out about an inch apart on the baking sheet. Somehow, if I bake them, I can justify eating loads of bleu cheese dressing. Lol. Or ranch dressing too.. although, the Hubs insists that bleu cheese dressing is the only way to eat wings. I brush the chicken with the sauce once on one side, then take them to the oven to bake for 15 minutes. Remember that they only were coated with the Buffalo Chicken Wings sauce on one side. You need to coat them on the other side too. They are also not fully cooked. Please do NOT taste them yet. No one wants to get sick. Flip them over. I hit them with more sauce. Hit ’em hard! Fortunately, they don’t hit back. Well, maybe not until much later. 🙂 If you like a milder sauce, add more butter. That will tame the heat down. The sauce will slightly thicken in between brushes. Don’t worry. It will thin out when it is in the oven with the chicken. Even at the end, when you toss the chicken in the sauce, the heat from the wings will thin it out. Or, you can put the saucepan on the stove for 1 minute. 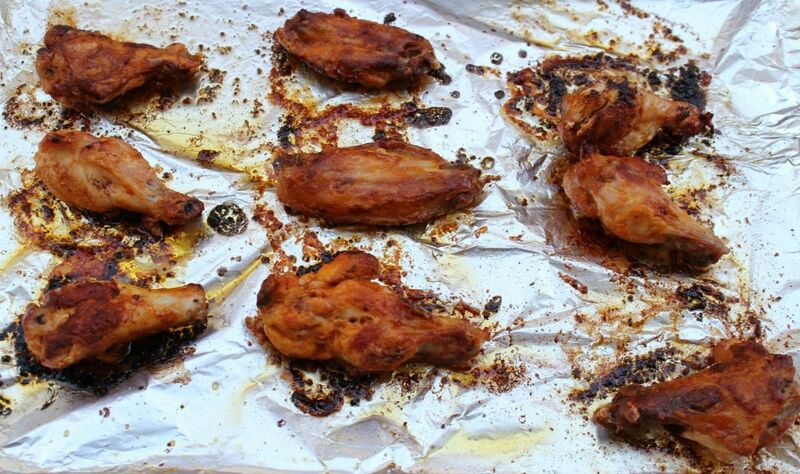 Once the Buffalo Chicken Wings are out of the oven, dress them with the remaining sauce. After all, they are naked. 😉 Serve with celery and carrots (only celery according to my Buffalonian Hubs. Carrots are a sacrilege) .. and lots of napkins – cuz there is a limit to just how much finger lickin’ is good. We have even sampled some amazing wings in a bowling alley south of the city of Buffalo. Many places have them, they should rename the place “Wing City.” I would consider ourselves connoisseurs of this American favorite. So many wings that I think we might just take flight. Go Bills! On one cold winter night in Buffalo, New York, on the shores of Lake Erie, a small local hang out called the Anchor Bar ran out of food. The only food left in the kitchen was some chicken wings that no one ever ate, Frank’s hot sauce, celery, and bleu cheese dressing. The customers were hungry and had nowhere to go. The owner fried the wings and added the sauce, and BOOM! A true American tradition was born. 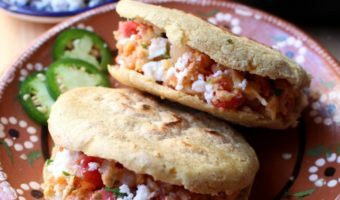 This favorite has spread from Western New York throughout the US and across the globe. Buffalo Chicken Wings make the best appetizers. 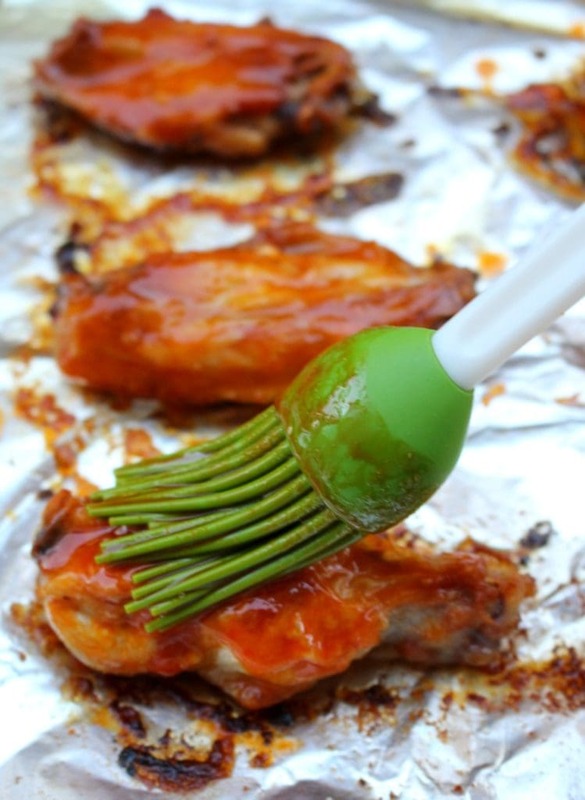 Yummy, easy-to-make, and perfect for game day or the Super Bowl. 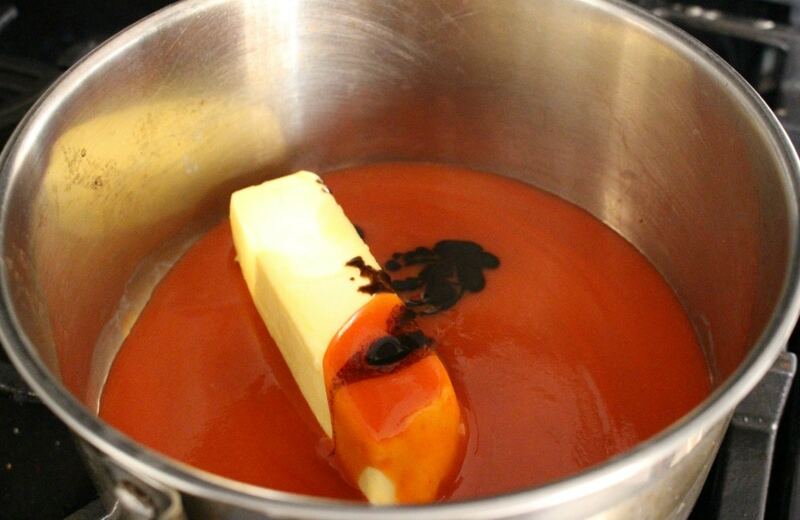 Add Frank's Hot Sauce, Worcestershire sauce, and butter to a small pan. 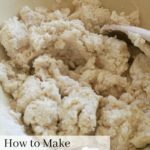 Cook over medium to low heat until butter has melted. About 2 minutes. Preheat oven. 425 degrees F.
Wrap baking sheet in foil paper. 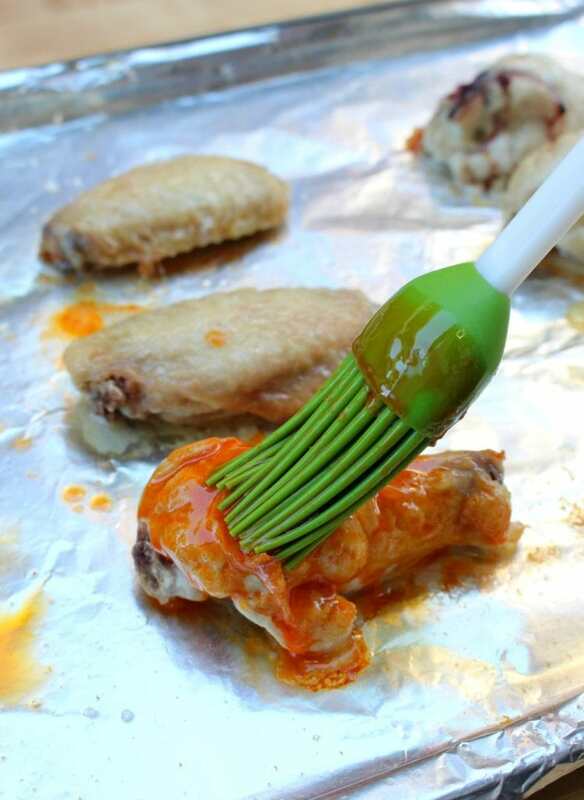 Pat the chicken wings with a paper towel. 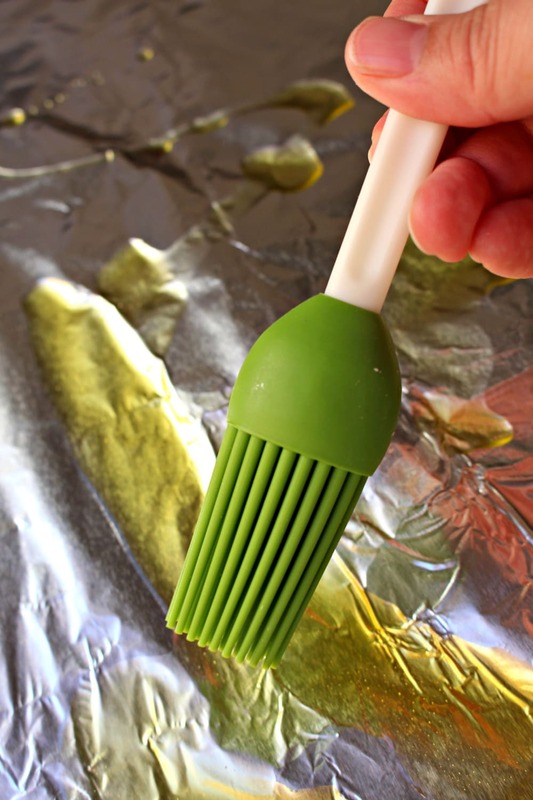 Brush the foil paper on the baking sheet with oil. Place chicken on the baking sheet. Take out of the oven and brush with the sauce. Return to oven and bake for 10 minutes. 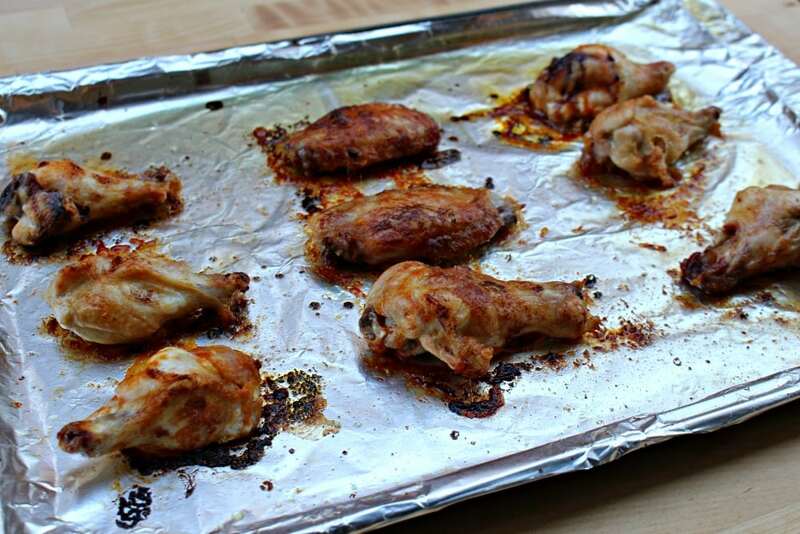 Take out of the oven and turn the chicken wings. Take out of the oven and toss in remaining sauce. 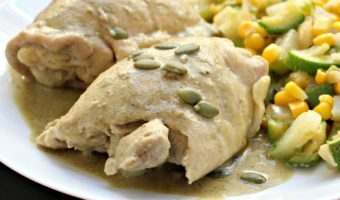 Serve with bleu cheese dressing, celery, and carrots. The sauce will thicken slightly while the chicken is cooking. It will thin out with the heat of the wings. 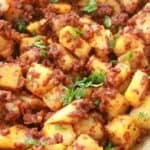 If you like this recipe, please rate it. 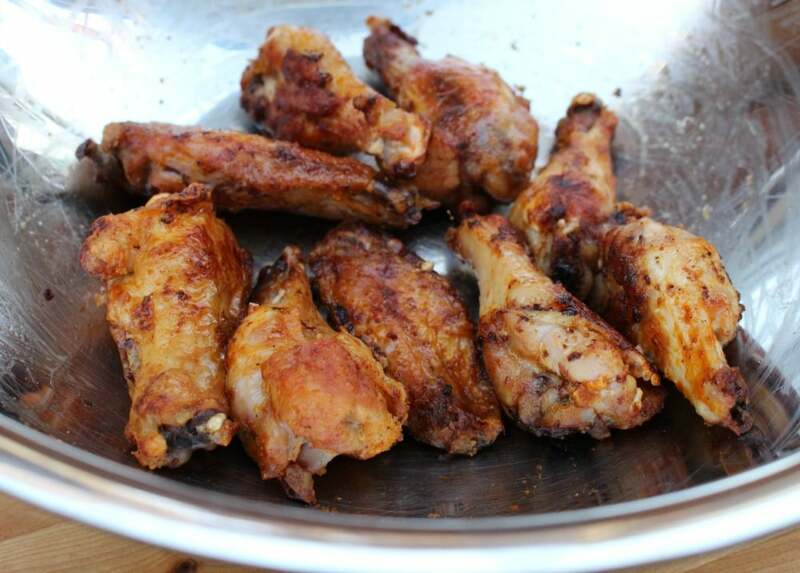 These wings look fantastic, I love that they are baked and not fried. I’ll definitely have to look for Frank’s Hot Sauce too. You’re going to love it! Enjoy! Wingsssss. Yum! I am so happy that grilling season is upon us so I can make this. But I am also glad to read that these can be baked instead of grilled, in case its too stormy outside for us to grill. Also, that’s the largest bottle of Franks that I’ve ever seen! wings are my favorite! When i first met my husband he told me that he had never met a girl who loved wings so much. Soooo now I have to tell him about this restaurant where they invented wings! I must go! That’s an awesome story! The Anchor Bar has good ambiance. 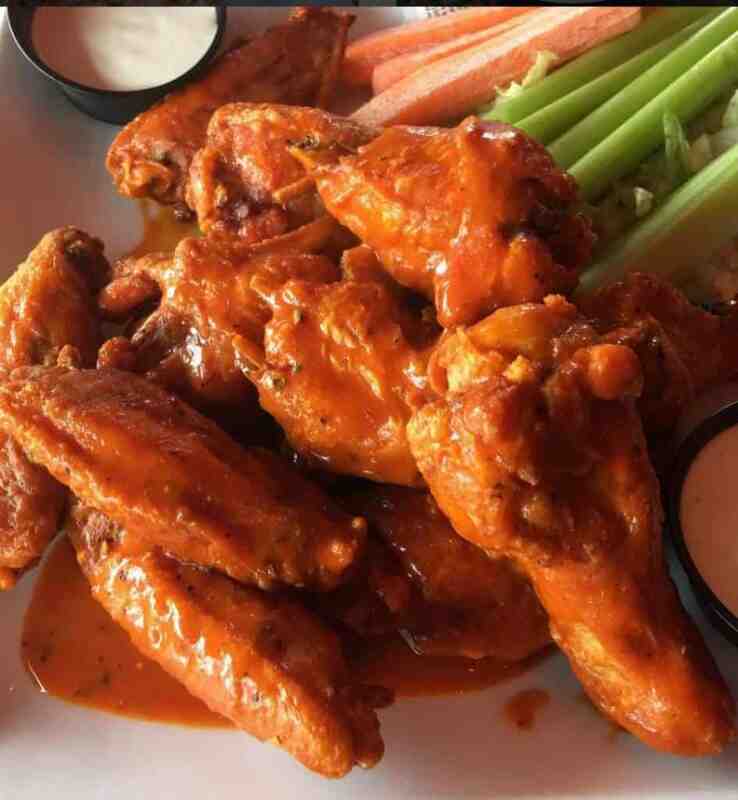 There are lots of good places to eat wings in Buffalo. 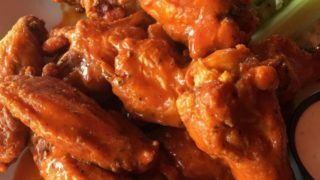 My fiance loves Frank’s on wings (but ruins them somehow every time lol) – sending him this recipe right now so next time they come out as good as yours! That’s too funny! It took a lot of experimenting to get the sauce just right. I have to agree, carrots… it’s a no-go for me. Celery maybe, but the wings? yeah I’ll take a pound or two, please. Oh my! We love wings at our house and I’ve wanted to make them at home instead of having to go to restaurants all the time. Sometimes I just want wings! Going to try this soon. This looks so amazing. 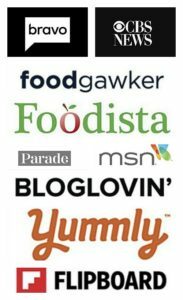 But I guess the key here is to make sure you buy really quality ingredients. I purchased the sauce for. “Wings” not the original one, should I change anything considering its not the original sauce? Can’t wait to try this recipe, first time making wings! Hi. I would taste it. Do you like it? If you like it, then use it. I would not add it to the chicken until I tasted it. 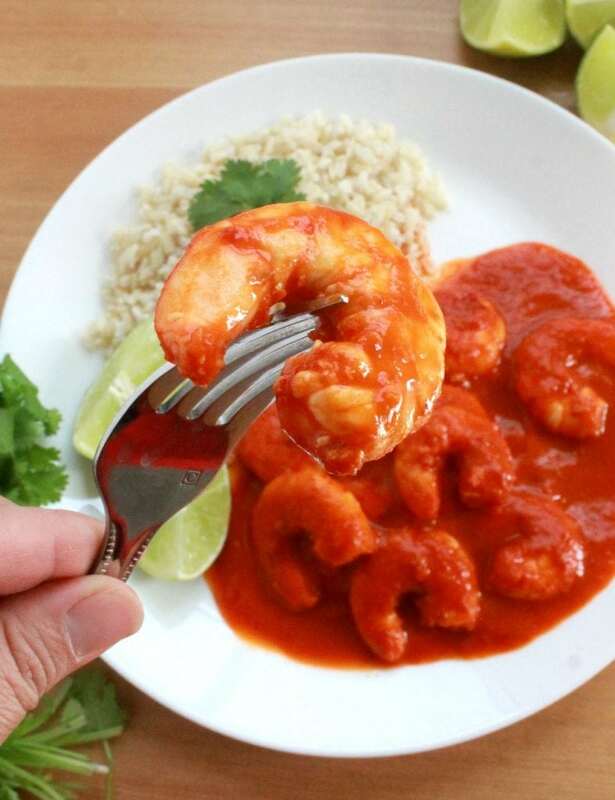 If it needs butter or Worchestire sauce, add it little by little until you find the right taste.